What Locations Would be Best for My Salon Business? Every business needs a suitable place or location to attract more customers. Ultimately, that will also help in making more profits. So, everyone should make wise decisions about choosing locations for their business or service. Likewise, for a salon business, choosing a perfect and suitable location is also very important. A perfect place matters more than the budget. Because you can start a small business with a small budget and still become successful. But you cannot make success by opening your business in a wrong place. Again, even if you invest a large amount of money, you cannot make progress in your business if the place or location is not suitable for your business type. So, you should confirm your business location even before you fix your budget. For a salon business, you should choose a place where a lot of people can come easily. Or, where a lot of people comes often. It can be in the busiest mall in the city or at the center of the town so that you can cover most of the customers of that particular area. You can also choose your location at a place without any mall. But make sure that people often go there or can easily go there. Because, if the place is too far away from the usual places then they will not get interested in your products or services. It is always better to get the attention of as many people as you can. And for that, you should follow the instructions above. And there are also some things you should not do or should avoid. Such as, you should never choose a place where there are already a lot of the same businesses as yours’. Because today will be very tough for you as you are just a beginner. Things will be so competitive for you. And your business may fail because of that. For this reason, you should not get into a competitive market at the beginning. Yes, you can also enter a competitive market after you earn some fame among to the customers. Then you can change your location to anywhere you want. Because, if your customers feel satisfied with your services, they will come to you over and over again. So, choose your location wisely when you first start your business. It will be a great help to you in increasing your business profits. Even with a small budget and small shop, you will be able to make enough money as a beginner. Another thing about choosing the business location is that you can your business locations depending on two or even three types. For example, you either start a male salon. In that case, you should choose the location for males depending on their major priorities. Or, if you are starting a women salon then you should give priority to that. In addition, if you are going to open a neutral salon for both men and women then you should give priority and should target both of the customers. And your business location will also be depending on that. 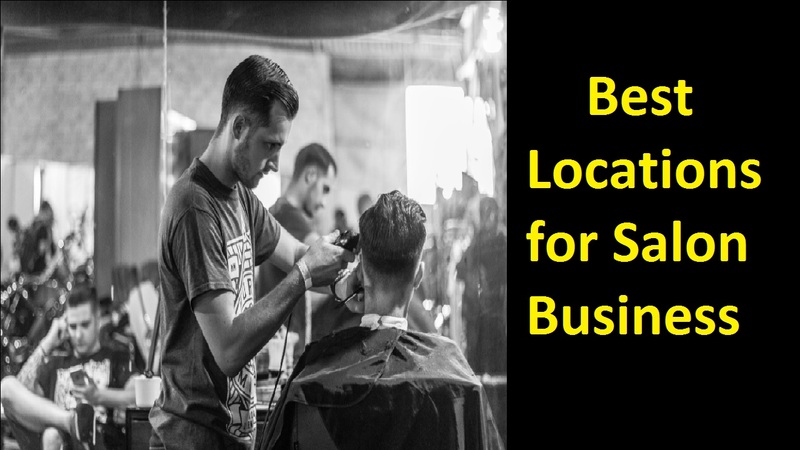 So, keep these in your mind while determining the location of your salon service business.